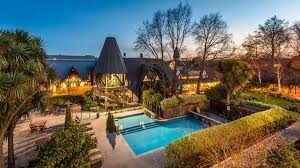 Our venue for the 2019 RWNZ conference is the Chateau on the Park. NOTICE (March 2019). Rooms are getting very limited at the conference venue. Towers on the Park is across the road from the conference venue. At 25 March 2019 they still have 22 studio rooms available during the conference dates. The Chateau on the Park (the conference venue, will honour the $25 buffet breakfast rate for conference delegates as the Tower does not have a restaurant). There are dozens of motels and hotels less than a kilometre from the conference venue – a quick google or search on trip advisor or booking.com will give you choices. Some of these are listed below – BUT the conference committee and RWNZ have not viewed nor contacted any of these alternatives. They are not recommendations. Do your due diligence. 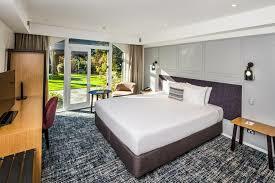 Chateau on the Park – Christchurch, a DoubleTree by Hilton hotel is designed to provide a tranquil, resort-like stay. The 5-acre property – boasting a moat, a vineyard and a beautiful rose garden – makes our Christchurch, New Zealand hotel feel secluded, but it is only 2.9km from the city and 6km from the airport. There is a heated outdoor pool and modern fitness room, as well as numerous guest rooms. Check out the hotel for more information.